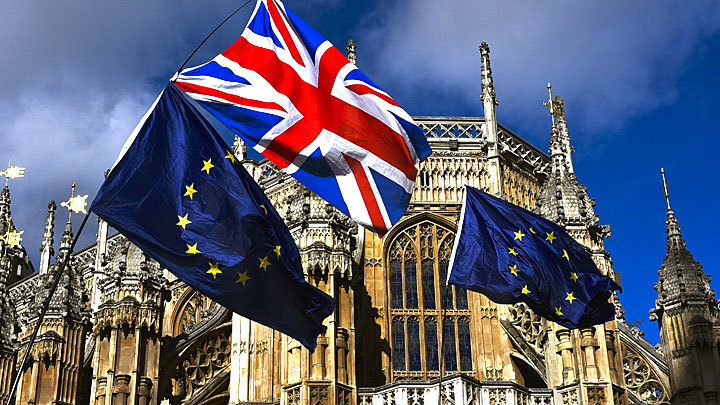 March 29, 2019 deadline for the exit of the UK from the European Union expires, but there is still no clear understanding of how this will happen. On March 13, the final vote on the “hard Brexit” issue took place in the House of Commons just by the set date, that is, without a deal. The majority (321 deputies versus 278) rejected such a scenario. At the same time, a little earlier, the parliament voted for an amendment, according to which the “tough Brexit” would not be allowed under any circumstances. True, the margin here was minimal - only four votes. It seems that London has only one plan left - to persuade the EU to move the exit dates. Already today, on March 14, a vote will be held in the House of Commons, according to the results of which it will become clear whether the parliament is ready to change the deadline. The term of the 50th article of the Lisbon Agreement, which describes the procedure for exiting the EU, may be extended until May 22, 2019. In Brussels, they see no reason for this, so Brexit’s prospects remain shrouded in mist. So, the chairman of the European Council, Donald Tusk, said that everything was done by the EU to make a deal with Great Britain. According to him, a way out of the current impasse can only be found in London. Brexit’s main negotiator Michelle Barnier also speaks about the same thing. In his opinion, now we need to prepare for the exit without a deal. French President Emmanuel Macron is against the postponement of Brexit, who noted that this should not be done just to discuss the agreement again. Now, if the British can explain the expediency of shifting the set date - then please. However, in Brussels, they clearly do not understand what other arguments the United Kingdom can provide. In general, this situation is increasingly reminiscent of the competition from the series "who will yield first." Only now, neither side expected this confrontation to drag out. No matter how Teresa May tries, she cannot achieve what she wants. Yes, and their own supporters insert a stick in the wheels, voting is not as it should. The British tabloids didn’t stint on flashy headlines like “The Daily Mail” or “The Hoarse Horror Show” (The Sun). The British Prime Minister has indeed almost lost her voice, proving her point to the debate in parliament. After the vote, May said that the results did not mean that the UK would not leave the EU on March 29. The Prime Minister also stressed that the refusal of Brexit would be contrary to the opinion of the people who voted for him at the referendum. She reminded parliamentarians that Brussels was refusing further negotiations. So why does the House of Commons persistently reject leaving the EU without a deal? Recall that, according to the variant of the agreement, the United Kingdom would remain part of the Customs Union until the end of 2020, as well as part of the European single market. London and Brussels would still have more than a year and a half to settle all remaining issues. The main one is whether to establish a rigid border between Northern Ireland (part of the UK) and the Republic of Ireland, which remains part of the European Union. London is in favor, Brussels is against it, because it is fraught with a collapse of the regional economy, not to mention the strengthening of traditional domestic political problems. And the backstop mechanism, which provides for the temporary preservation of EU regulations in Northern Ireland, does not suit Brexit supporters, who fear that the UK will be bound by European rules for an indefinite period. If Brexit does take place in its “hard” variation, then the British economy will face serious challenges. The UK will no longer be part of the Customs Union and will trade with the European Union according to WTO rules. According to some pessimistic estimates, this may lead to the fact that the country's GDP will drop to 9% in 15 years, the state budget deficit will rise to 110 billion dollars, and the unemployment rate will double. Nothing good in such conditions is waiting for the pound sterling - it can be cheaper by a quarter. There are non-economic negative points. For example, over the years, EU countries have been sharing information about criminals. According to British Interior Minister Nick Hurd, after Brexit without an agreement, access to this opportunity will be lost. Whether it will be possible to restore this cooperation on other conditions is a big question. However, many experts believe that in this kind of "peering game" the advantage is on the side of Brussels, so the "hard Brexit" can still take place. Indirectly, this is indicated by the fact that the British government is already taking measures for such an unpleasant development of events. On March 13, the deputy head of the ministry of foreign trade, George Hollingbury, said that the UK would remove duties on 87% of imported goods, retaining them on the most important products for the British industry. For example, on cars and agricultural products. Teresa May and many other politicians have been saying for a long time: “No deal is better than a bad one.” The last two ballots in the House of Commons deprived this phrase of meaning. In any case, in this comparison, you need to look for another solution. For example, “good deal”. It’s just been almost two years, and a little more than two weeks left until March 29. The watch for the UK is ticking increasingly annoying.